As battles rage on the frontline during periods of war, back at home the continuation of domestic life and keeping a stable household running can be overlooked. For artist Bobby Baker, it was the story of her grandfather – a son of a Byker vicar and ballistics engineer traumatised by designing arms – and her female relatives that helped underpin her latest work. 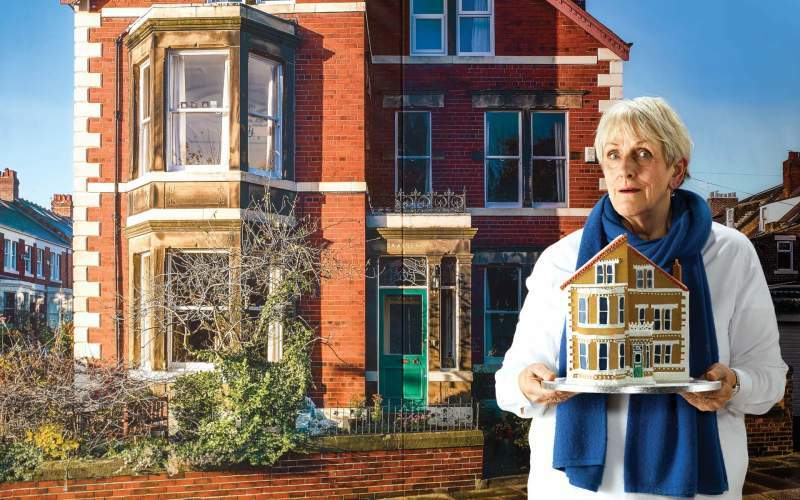 From Friday 7th September to Wednesday 28th November, in a new co-production from Wunderbar and Daily Life Ltd and forming part of 14-18 NOW’s final season, a house in Arthur’s Hill in Newcastle is set to be transformed. Drawing on the experiences of her relatives, Bobby Baker’s Great & Tiny War will be a multimedia installation featuring a guided audio tour from Baker herself. So much more than meets the eye, this isn’t a simple step back into the past to discover more about the Great War, but instead a meeting of the ordinary and extraordinary (it includes a baked armoury, which toes the line between ingenious and delicious). A celebration of the maintenance of everyday life during wartime and the people who care for those traumatised by war’s effects, Baker’s work will bring out the greatness in seemingly tiny moments.